State Systems, Inc. has 25 years of experience helping Mid-South commercial property managers meet their life safety, fire protection, and technology needs. From office buildings to hotels, State Systems, Inc. can provide your commercial property with the tailored protection and technology solutions you need to protect and grow your organization. We provide fire protection and technology solutions to commercial facilities across Arkansas, Tennessee, and Mississippi. Contact us online for a quote or call us today at 866-308-5701. State Systems, Inc. is a leading provider of clean agent fire suppression systems. We offer a full range of fire suppression systems for industrial, commercial, and special hazard applications. Our fire protection systems are effective, easy to use, and completely safe for people, vital assets, facilities, and the environment. Whether you want the latest clean agent fire suppression or replace an outdated Halon system, our technicians will thoroughly analyze your commercial facility and business operation to help you determine the correct fire suppression system for all your applications. At State Systems, Inc., we proudly carry and offer installation and maintenance services for ANSUL and FM-200 fire suppression systems. Call State Systems, Inc. for more information on commercial clean agent fire suppression systems. At State Systems, we install fire alarm systems for commercial settings throughout the Mid-South. 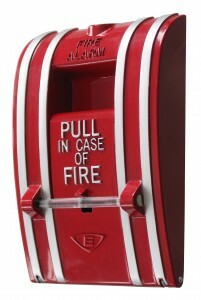 Fire alarms are the first response system for alerting your employees and customers of a fire or emergency. Don’t risk your property, inventory, and customer records by being without a fire alarm system. A commercial fire alarm system is made up of a central control panel in which smoke alarms and heat detectors are connected, as well as sirens and horns that will activate if the system triggers an alarm. Our expert technicians have years of experience installing fire alarms for commercial settings, so contact us for installation. Portable fire extinguishers effectively extinguish nearly 95 percent of all reported fires—making them a necessity in commercial settings. Depending on your facility and its needs, we can help you choose the best fire extinguishers from top reputable manufacturers such as ANSUL. State Systems, Inc. also offers extinguisher training and maintenance as well for commercial facilities in Tennessee, Arkansas, and Mississippi. Training can help improve employees’ confidence in real emergency situations and ensure they are properly using equipment. For more than a quarter century now, automatic fire sprinklers have been savings lives and protecting property. They are widely recognized as the single most effective method for preventing the spread of fires in early stages—before they can cause severe injury to you, your employees, and your commercial facility. Fire sprinkler systems been required for years by local codes and ordinances because they provide relatively simple, extremely reliable, affordable fire protection. Sprinklers not only provide excellent fire protection, but they also represent an excellent investment opportunity for building owners. Businesses can experience insurance savings and income tax deductions with automatic fire sprinkler system installation. Installation also ensures compliance with fire protection codes and standards, and it allows a business to continue operations fairly quickly in the aftermath of a fire. Fire sprinklers limit the fire and fire damage to a small area. After a fire, rooms can quickly be reoccupied—this minimizes loss in revenue. 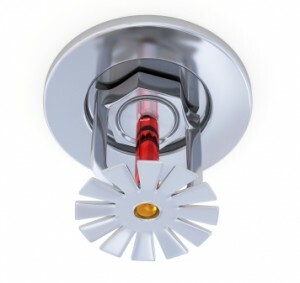 Call us or contact us online for fire sprinkler installation or inspection services. Emergency and exit lighting are important parts of any evacuation plan and a necessary link to safe escape when an emergency situation takes place. Emergency lights are used to light the exit routes for all building occupants inside a public or commercial building in the case of emergency or power loss. The Occupational Safety and Health Administration (OSHA) has outlined strict requirements commercial facilities must meet with respect to their emergency and exit lighting—contact State Systems to learn more. 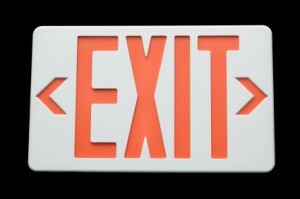 OSHA also requires both monthly and annual testing for emergency and exit lighting, and we can help you with both. Just give us a call to learn more about our testing services. More than ever before, commercial facilities must be safe and equipped with advanced security features. 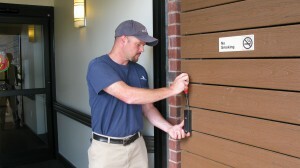 At State Systems, Inc., we specialize in the installation of full access control systems. These systems provide commercial facilities an important layer of security by allowing or denying a person’s admittance to an area or facility through the use of access cards or biometric recognition technology. Different commercial facilities face different challenges, but they all share a common responsibility for ensuring the safety and well-being of employees and customers. In order to meet this responsibility, these facilities increasingly incorporate access control systems within their overall security strategy. Give us a call or contact us online to learn more about the tremendous value of access control systems in bolstering the security of your commercial facility. 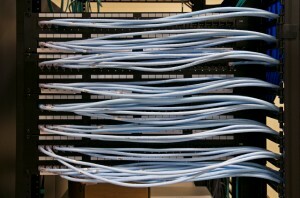 Structured cabling is the installation of a building’s cabling infrastructure, the networking medium that allows phones and computers to talk to each other and access the Internet. In today’s business climate, consumers expect that the commercial buildings they occupy will be able to support their voice and data networking needs. Improperly designed networks can lead to such irritations as poor voice quality over phone lines and low data transmission speeds. Don’t allow your commercial facility to fall behind other facilities that have chosen to become more sophisticated and tech savvy. Give State Systems, Inc. a call today for expert structured cabling services. Our team of experts is highly qualified and experienced in implementing and installing wireless connectivity solutions best suited to meet your needs. We have experience in survey, design, installation, maintenance, and optimization of wireless networks. We look forward to providing your commercial facility with radio frequency wireless connectivity, microwave wireless connectivity, or infrared wireless connectivity. Need more information about these wireless connectivity solutions? No problem—give us a call or contact us online, and we’ll be happy to help. Request a Quote from State Systems, Inc. Today!